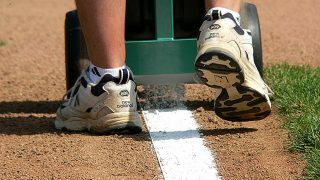 When I first came to Beacon Athletics in June of 2000, one of the first conversations I had with our lead engineer, Jim Myrland, was detailing my desire to help develop a new field chalker that would solve some of the common problems that plagued pretty much every chalker on the market at that time. EVERYONE complained about their chalker in those days. Just about every brand and model back then used the same delivery method, with the same end results: inconsistent, poorly defined lines. 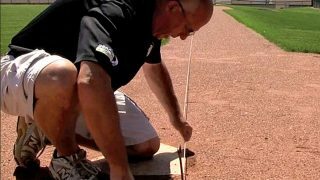 I had just left the Baltimore Orioles after more than 15 years, and in Baltimore we used a not-so-well known chalker that was very old, but was nicely designed, and put down a decent line without piling on the chalk. In the above picture, you can see the cylindrical-shaped chalkers we were using. Yes, that’s a 26-year-old me back in 1986 operating one of the chalkers at old Memorial Stadium. These chalkers had an interesting hole design on the bottom of the chalker for its delivery system. I wanted our engineer to see it as we began our R&D into building the better mouse trap, errrr, better chalker. The Orioles loaned us one of their two cylindrical chalkers during the 2000-2001 offseason. Jim looked it over and began a series of tests using different holes and slots in different orientations to find the perfect delivery of chalk utilizing a heavy-duty nylon brush agitator instead of a cast metal agitator. At the same time, we tasked him with finding a way to adjust chalk flow, since not all chalk products flow alike. Within weeks, Jim had come up with the ideal drop-hole alignment and a variable flow control assembly that drastically improved the operation of the yet-to-be-named-chalker. 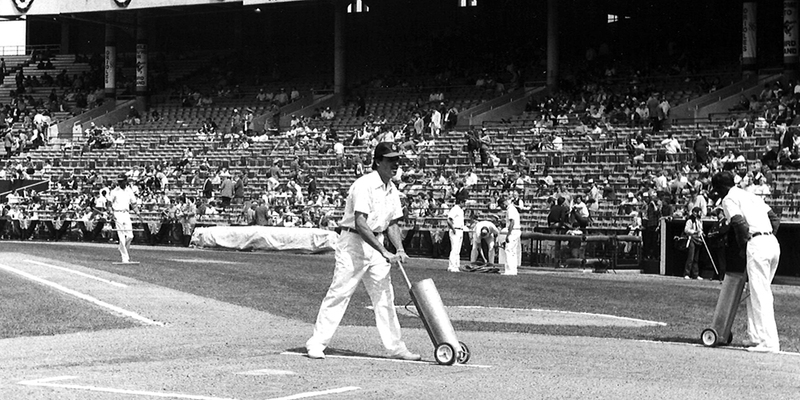 For that first new-and-improved chalker, we decided we would mimic the hopper that the unit from the Orioles had — the distinctive tall cylindrical shape. It was unique to chalkers at that time and took full advantage of gravity feeding the chalk to the agitator. The brush agitator had a great effect on granulating the chalk as it dropped for a beautiful consistent full chalk line. As we fine-tuned the new machine during testing, Jim came up with the now-familiar “Streamliner” name. A new star was born. The original two-wheel “Streamliner 30” was introduced in January of 2001. 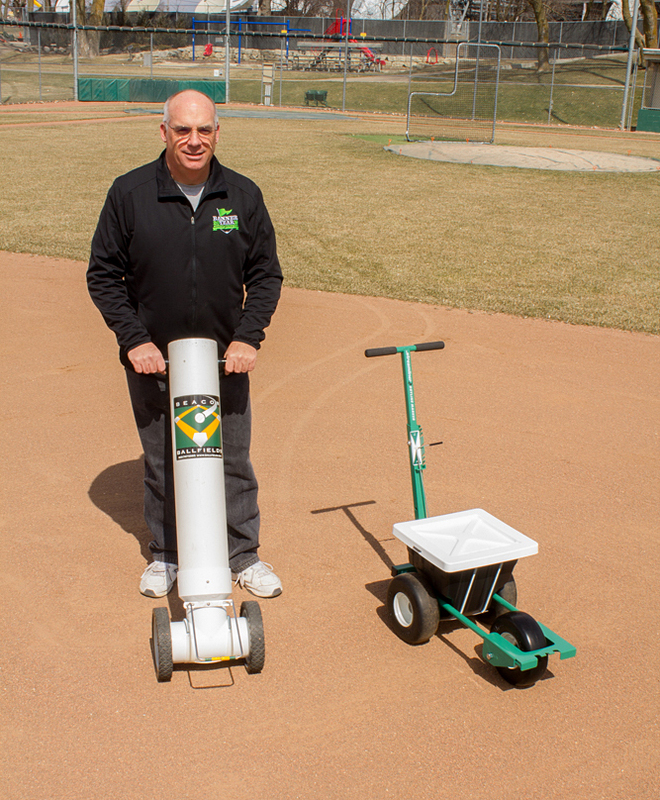 This version with the cylindrical 30-lb capacity hopper was produced for two years (shown here with modern-day Paul). The innovative Streamliner 30 gained rave reviews from customers. Thanks to the adjustable flow control, many of them reported they were cutting down the amount of chalk used in a season by 30%-50%. But it became obvious in those two years of the original Streamliner that the design of the unit was too labor intensive for us to produce. So Jim went back to the drawing board and created a new frame design that slashed assembly time, cut costs and improved durability with its new steel frame. 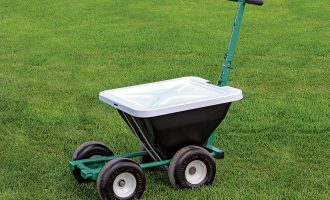 The new design also afforded us the ability to offer two different hopper sizes: a 35 lb and a 70 lb hopper. The improved Streamliner design that’s a close cousin to today’s model came out in January of 2003 and, the rest, as they say, is history. There have been several important improvements and updates to the design over the past 15 years, but the basic look of the Streamliner has changed only a little. 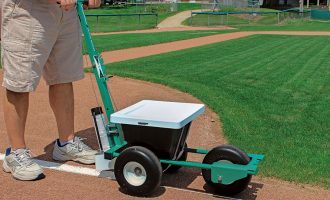 It is one of Beacon’s top legacy products that is the fruit of our commitment to innovation and problem-solving through better athletic field groundskeeping tools. The Streamliner chalkers have truly become the industry standard with thousands of units sold. 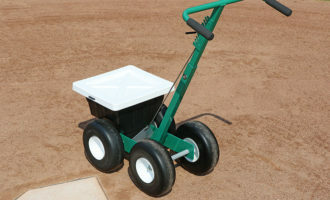 Simply the best dryline field chalker in the business.